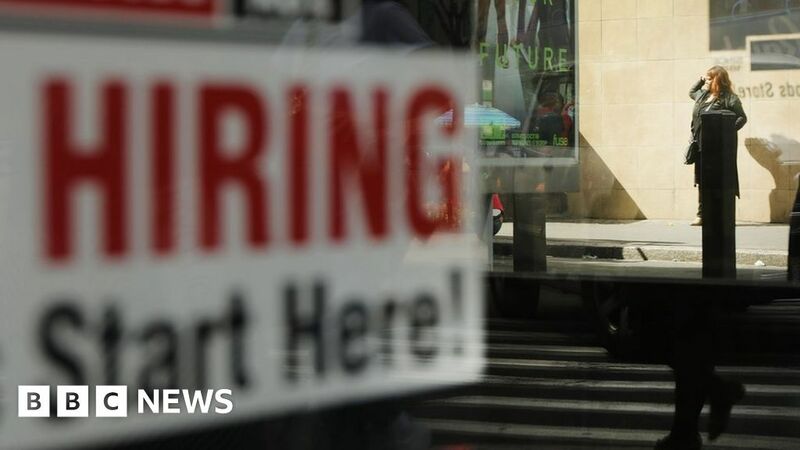 US jobs growth was weaker than expected last month, a slowdown that analysts blamed partly on a tight labour market. Employers added 155,000 jobs, with health care, manufacturing and transportation firms driving the growth, the Labor Department said. The gains kept the unemployment rate unchanged at 3.7%, near record lows, according to the report. The average hourly pay for private sector workers increased at an annual rate of 3.1%. November’s gains marked a slowdown from the roughly 200,000 jobs the US economy has added on average each month over the last year. The Labor Department also said employers had added 12,000 fewer positions in September and October than previously estimated. Paul Ashworth, chief US economist for Capital Economics, said Friday’s employment report may add to the nervousness that has hit financial markets in recent weeks. However, he felt that the jobs growth was “still a solid gain that suggests economic growth is gradually slowing back towards its potential pace”. With the unemployment rate already low, economists have predicted that job creation will decelerate as businesses have a harder time finding workers. Forecasts also call for economic growth to slow over the next year, as a boost from new tax cuts and increased government spending starts to fade. “We view today’s decent employment report as a realignment of payrolls with the underlying trajectory of the economy,” Oxford Economics analysts said in a research note. The Federal Reserve is still widely expected to raise interest rates at its regular meeting this month, moving forward with its fourth rate rise this year. But analysts said the cooling labour market signalled in this report may convince officials to move more slowly in 2019.